Terry L. Nichols was sentenced Thursday to life in prison without release for his role as the chief collaborator in the Oklahoma City bombing, thus ending the largest federal investigation into the worst terrorist attack on U.S. soil. 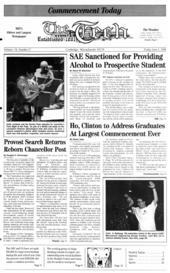 The 43-year-old Nichols - a former Michigan farm boy who first met Timothy J. McVeigh, the anti-government zealot convicted earlier in the bombing, at Army boot camp in Georgia - also was ordered to pay $14.5 million in restitution to the federal General Services Administration for the destruction to the Oklahoma City federal building. At the start of the three-hour sentencing hearing, Nichols broke into tears as he took his seat. But through the rest of the afternoon, as a dozen victims spoke of their losses and U.S. District Judge Richard P. Matsch branded him and McVeigh "enemies of the Constitution," Nichols flashed not one more hint of emotion. Even as his teen-age son sat collapsed and weeping in the back of the courtroom, Nichols expressed no feelings about the 1995 bombing of the Alfred P. Murrah Federal Building. Instead, he rose to his feet and quietly told the judge that he preferred to "rely" on his counsel to speak on his behalf. "My obligation is to preserve, protect and defend the Constitution of the United States against all enemies, foreign and domestic," the judge said, speaking out for the first time after presiding over separate trials for Nichols and McVeigh. "Terry Nichols has been proven to be an enemy of the people. He sought to destroy all of the things that our Constitution protects." As he handed down the life sentence, Matsch leaned forward into the microphone on his bench, stressing that he wanted the punishment to be severe enough to deter other would-be terrorists. "This was not a crime against them (the victims) so much as it was a crime against the Constitution of the United States," he said. "And that includes us all. The evidence shows that Terry Nichols participated in a plan to undermine the government. He joined with those who think of the United States government as some kind of occupying foreign power or some kind of opposing force." The judge, mocking Nichols and McVeigh, said: "There was no anarchy, there was no reign of terror. Instead, the Constitution has been at work in this courtroom." For victims of the bombing - the survivors of the 168 killed, the 500 injured, and the thousands of others whose lives were shattered - the Nichols sentence was a climactic moment in a long campaign for justice. Doris Jones - whose pregnant daughter was killed and who each day still wears her bracelet "so I can keep her close to me" - said that she now hopes authorities will file state charges in Oklahoma against Nichols and McVeigh. "It's something the people of Oklahoma want and need, to say that we did our part, too," she said. But Marsha Kight, who also lost a daughter in the explosion, said that closure for the victims must start now with Nichols' life sentence and the fact that McVeigh was sentenced to death in a separate trial last year. "I think it should end right here," she said. Nichols and McVeigh were Army buddies turned malcontent. Angry about several issues - gun control, U.S. involvement in the United Nations, the bungled federal raid at a religious compound near Waco, Texas - the pair put together a plot to destroy the Murrah building and, in McVeigh's words, ignite a second American revolution. McVeigh rented the Ryder truck and delivered the bomb to the front of the federal building on April 19, 1995. But Nichols' role was crucial. With McVeigh, he helped rent storage lockers, purchase ammonium nitrate fertilizer and stash McVeigh's get-away car in downtown Oklahoma City. McVeigh was convicted on all 11 counts of his federal indictment, including conspiracy to bomb the building and responsibility for the deaths of eight federal law enforcement officers killed inside. In contrast, Nichols was convicted of just one count of conspiracy, acquitted of two others and found guilty only of involuntary manslaughter in the eight officers' deaths. Michael Tigar, his chief defense attorney, argued that others, such as Michael Fortier, a third Army buddy who testified for the government in the two trials, played larger parts in carrying out the bombing plans than Nichols. The defense attorney said that Fortier, who pleaded guilty to knowing about the bombing but doing nothing to stop it, was given leniency last week with a 12-year prison sentence. He said that Matsch should give Nichols something less than life. "(Fortier's) 12-year sentence stands as some kind of benchmark," Tigar said. He portrayed Nichols as an unwitting partner who was used without his knowledge by McVeigh to further the bomb plans. Tigar sharply criticized FBI investigators and federal prosecutors, contending that they never really looked for others who might share more responsibility for the bombing. "I agree there are unanswered questions" about the bombing, Tigar said. "And those should be laid at the feet of prosecutors and the FBI." But Larry Mackey, the chief federal attorney in the Nichols trial, urged a life sentence. He said that was the least that should be given to someone who had acted on his belief "that the government is a faceless evil."